NOEL BANNISTER is a professional and widely experienced, UK events pianist / wedding pianist who has played all over the Northern hemisphere from the Arctic Circle to Casablanca (but never yet in the Southern hemisphere …any offers?) and is now available to play for your wedding, party, corporate or special event in Sussex, Essex, Kent and Surrey. 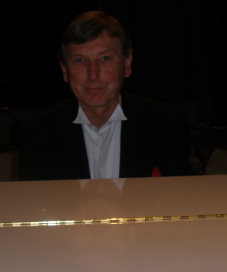 Noel was a resident pianist at the Ashdown Park Hotel, Wych Cross, for over 10 years and has played most venues in and around Tunbridge Wells, Kent and Sussex. A top quality, portable, digital piano and sound system is available and can be played outside (weather permitting!) as required. 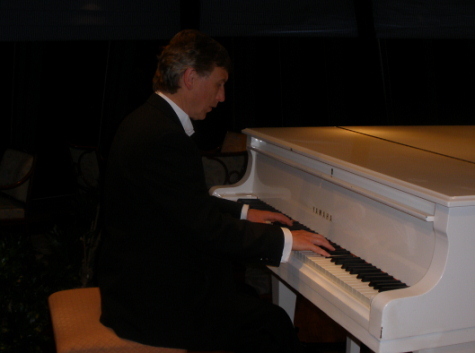 Noel Bannister is an atmospheric, mellow jazz pianist, composer and arranger based in Crowborough, E.Sussex, (UK) who sets out to create a warm, background atmosphere to add sparkle to whatever your event …..with a wide ranging repertoire to suit your special occasion. Noel specialises as a wedding pianist for wedding ceremonies , wedding and champagne receptions and, if required, can advise on wedding music. 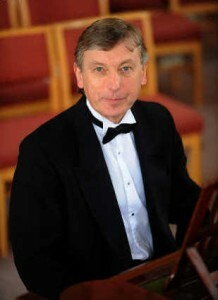 Noel is available as a solo pianist or in a variety of combinations to form a duo , trio, quartet, quintet or jazz band.